06 | April | 2005 | Nauval Yazid & His Words. The drawback of being away from my homeland for quite some time, and infrequent coming-home trip that always proves to be “too-packed-with-hectic-schedule”, has made me somehow losing the track of the latest update in Indonesia’s music scene. Everytime I march into music store hoping to grab some Indonesian album, I could only see myself in amazement, standing before the racks under the heading “INDONESIA” right above me and all I could think of is, “Who is this Gya?” or “Is this the new Slank album?” or “How come Coklat sounds the same after all these years?” or “Goodness! Jikustik still exists!” or “Not another repackaged album, please! What a rip-off!”. – and the last one is the bride-to-be who falls head over heels with rock stars a la, erm, Ariel of Peterpan! I had my day, until I decided to grab and buy the debut album of Maliq and D’essentials. And never before a debut album of neo-soul genre requires repeated listening in which every turn makes me fall deeper unto its charm. Not that it has a rough start, though. The first track, aptly titled as ‘Intro’, tries too much to be hip-and-cool by mixing half-baked rap, “Assalamualaikum” greeting and unnecessary introduction of the band itself. Yet, from the second track onwards which feature their radio-friendly “Sunshine”, we get to know Maliq’s musical strength: rich in harmonious notes, smooth and surprisingly soothing. The suggestively playful tunes fill in every track that make us feel lost at times for enjoying them way too much, and for a debut album of a new band that sometimes require one hit single that may or may not be overtly commercialized, Maliq manages not to sacrifice their uniqueness to be bubbly. Of course, that hit single is reserved for “Terdiam”, which I myself have no objection towards its we-follow-the-market concept, and again, this band has got to have a song that fans can hum along, right? 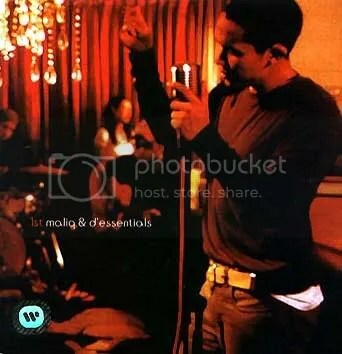 Which is what Maliq can see its danger from this point: being another washed out R&B/soul band that tries hard to define Indonesian’s likeness towards this music. In another words, I find Maliq’s relaxed attitude comes whenever they sing the songs in English, instead of Indonesian. Whereas “Terdiam” is an exception, yet the remaining tracks in Indonesian, particularly “Hadirmu” and “Tandanya”, are the examples of easily-forgotten tracks thanks to its overtly-used cheesy-love lyrics lost in their soulful music. There’s no harm done following the step set by Mocca after all, Maliq. After all, what you’ve got here is the superb debut album which may take awhile for Indonesian music market to find, and once they find you, they’ll get hooked.